Its that time of month again (not that time) for a favourites round up post. August has been a really fun month. I went to one of my favourite places on holiday- Devon! I received some of my GCSE results aswell which mostly got the thumbs up! Anyway here is a round up of what I have been loving this month. 1. My first fave is the Dove moisturizing crème. This was only a sample so I used it up very quickly. ( it will be in my next empties post) I will definitely be buying the full version. It soaks in so quickly without leaving you greasy and sicky- which I hate. 2. 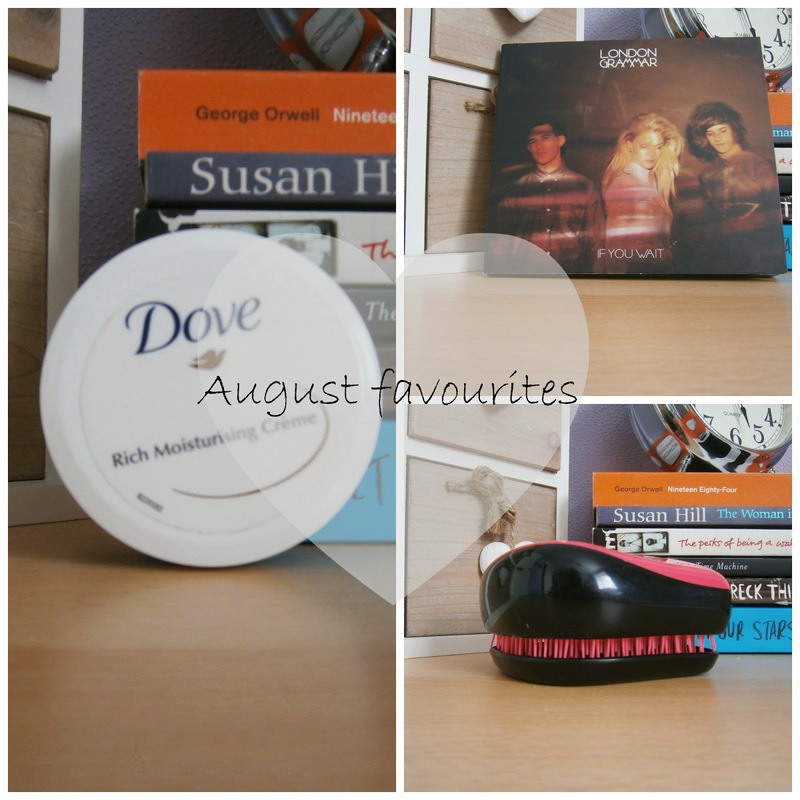 My next fave is my tangle teezer compact. As i said before I went on holiday this month. So being by the seaside all day for most of the days, my hair got pretty knoty and tangled . The tangle teezer is so good at getting the knots out. I would definitely recommend the tangle teezer brand for anyone with argumentative hair. 3. My favourite album this month is london grammar - if you wait. Their music is so relaxing. I love all the songs on the album but my favourite is Hey now. 4. This month I have been loving wearing short necklaces. These ones are from Claire's. View shared p My favourite is the little triangle one. 6. My favourite youtuber this month is fashionrocksmysocks. I have watched her before but this month I really got in to her videos. She doesn't upload as much as I would like but I love her style and her vlogs are so fun to watch. 7. My favourite Tv shows this month have been MIC NYC and almost royal. I am a massive made in chelsea fan!! So to be honest, it was pretty obvious I would love it went they went to new york. Almost royal follows MIC NYC on a sunday night. Its a new comedy about two posh English aristocrats doing a tour around America. Its a comedy and it generally had me laugh out loud at some parts. I'm yet to try a tangle teezer but my hairs been getting so knotty recently, I think I'll have to give one a go! I also love fashionrocksmysocks, especially her vlogs!